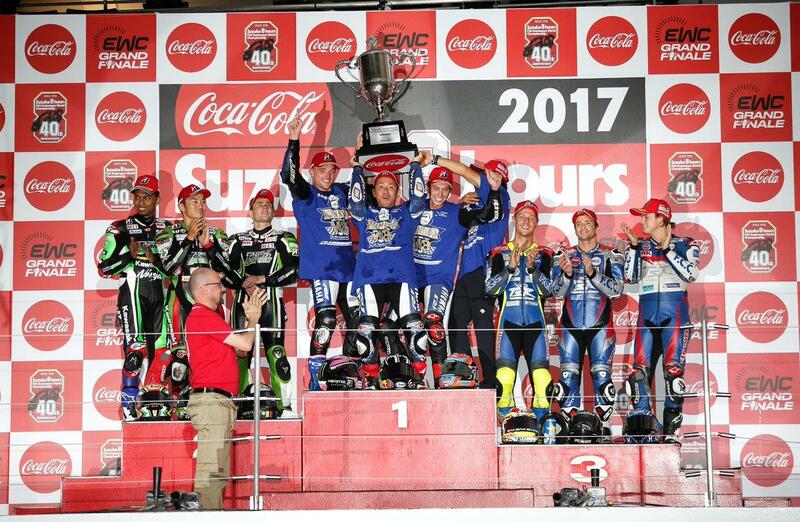 Alex Lowes, Michael van der Mark and Katsuyuki Nakasuga have delivered Yamaha their third Suzuka 8 Hour title in a row after running a flawless race during Sunday’s final round of the Endurance World Championship at the Japanese circuit. Nakasuga rode a master class in the damp first hour of the race to leave them in the perfect position for Lowes to strike when his turn came, with van der Mark then extending their lead even further while Musashi Honda rider Takaaki Nakagami fell, leaving the Yamaha team unchallenged for the remaining second half of the race. 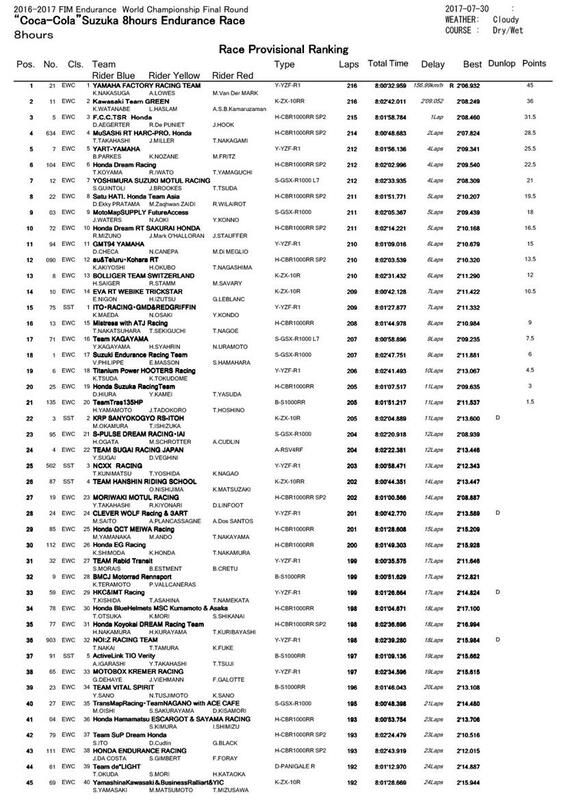 Leon Haslam rode the lion’s share of the race for Team Green Kawasaki to eventually come home second, after a fire on the bike denied FCC TSR Honda the chance to take the fight to him in the closing thirty minutes of the race, instead being forced to settle for third. Musashi eventually came home fourth, just ahead of best of the permanent EWC teams – but fifth place wasn’t enough for Yamaha Austria to lift the title, which instead went to GMT94 Yamaha despite a stop-and-go penalty of their own in the closing stages of the race.